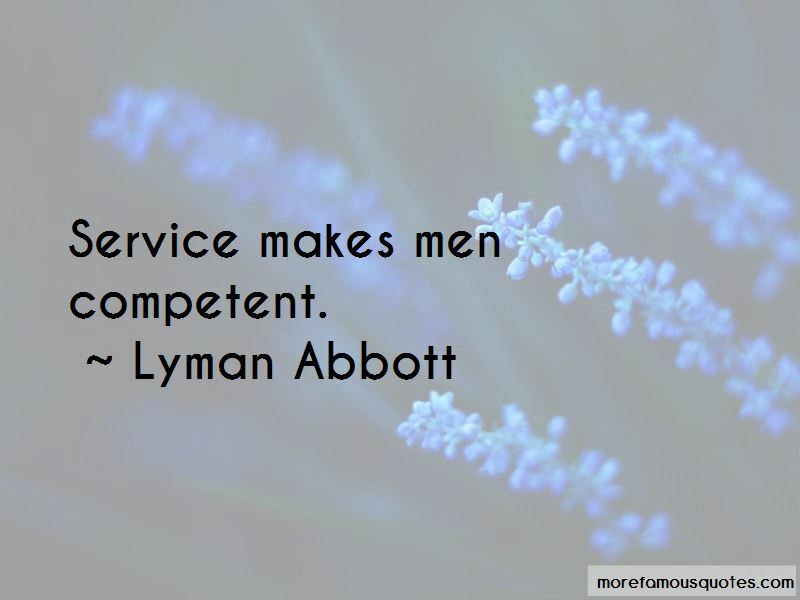 Enjoy the top 50 famous quotes, sayings and quotations by Lyman Abbott. 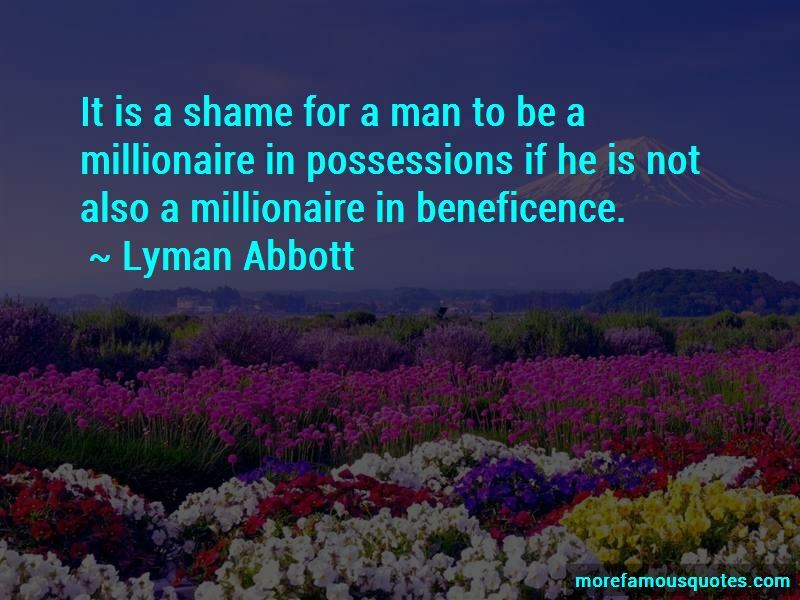 It is a shame for a man to be a millionaire in possessions if he is not also a millionaire in beneficence. Every great sin ought to rouse a great anger. Mob law is better than no law at all. A community which rises in its wrath to punish with misdirected anger a great wrong is in a healthier moral condition than a community which looks upon its perpetration with apathy and unconcern. Do not think that you can fight corruption without while you let corruption fester within. He who says, "I know no fear," is no hero. No man knows courage unless he does know fear, and has that in him which is superior to fear, and conquers it. All Christian worship is a witness of the resurrection of Him who liveth for ever and ever. Because He lives, "now abideth faith, hope, charity." 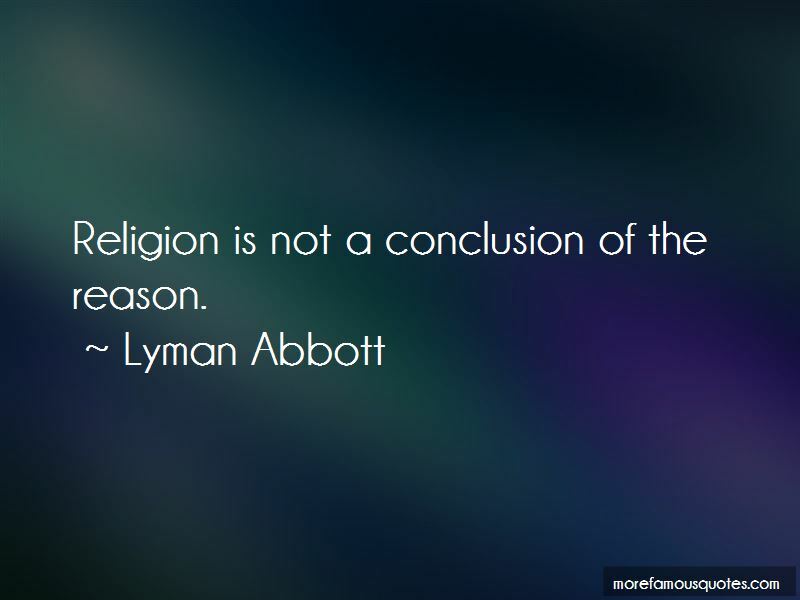 Want to see more pictures of Lyman Abbott quotes? 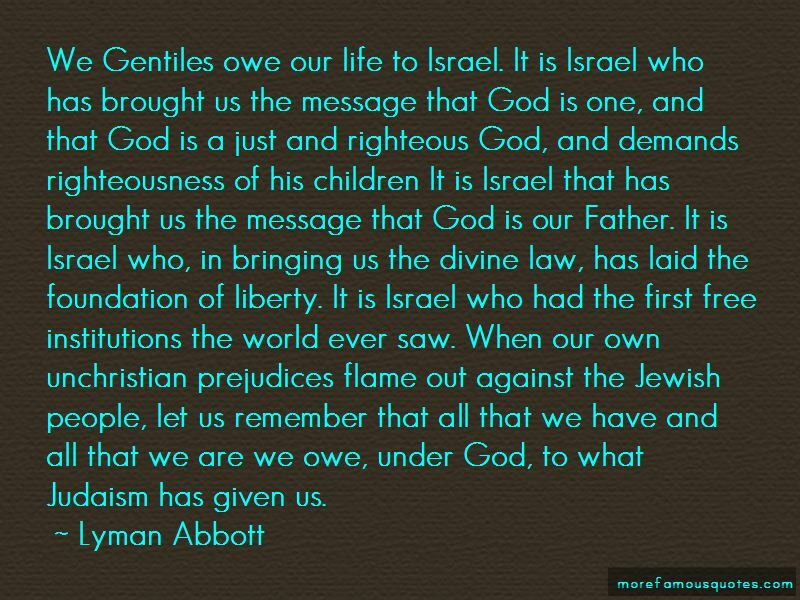 Click on image of Lyman Abbott quotes to view full size.